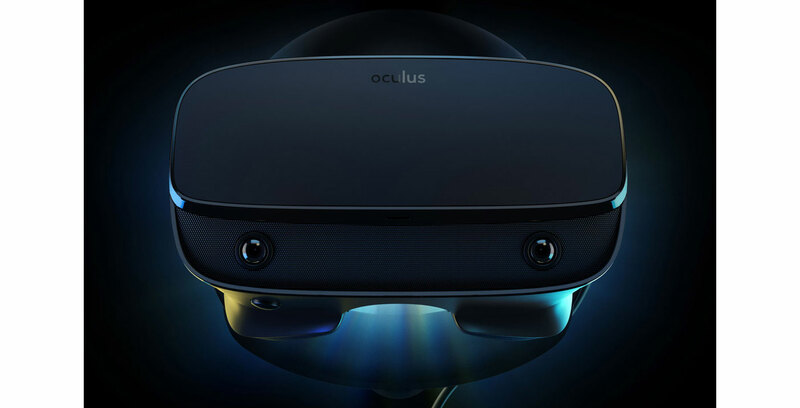 Facebook’s Oculus division has revealed a new virtual reality (VR) headset called the Oculus Rift S at the Gaming Developers Conference (GDC) in San Francisco. The headset costs $549.99 in Canada and is set to launch in spring 2019, according to Oculus. Oculus says that it partnered with Lenovo to design the Rift S. Using Lenovo’s gaming experience in both the VR and the augmented reality space, the company was able to help Oculus design a new headset with better weight distribution, improved light blocking and a single cable experience. On top of the headset’s improved comfort level, the Facebook-owned company has improved the headset’s display by implementing OLED technology as well as an improved resolution 2,560 x 1,440-pixels (or 1,280 x 1,440 per eye). Oculus has also lowered the screen’s refresh from 90Hz to 80Hz. Further, the Rift S’ field-of-view is improved over other Oculus headsets. The Rift S also supports five-camera tracking, allowing users to look at their surroundings without taking off the headset through a new Passthrough+ feature. The Rift S does not include on-ear headphones and uses near-ear speakers like the Oculus Go, though users can plug in their own headphone through a 3.5mm headphone jack. As with Oculus Quest, the Rift S will ship with Touch controllers. Additionally, the Rift S supports the same integrated audio system as the Quest. Oculus suggests that your PC features at least a NVIDIA GTX 1060 or AMD Radeon RX 480 graphics cards, 8GB of RAM, an Intel i5-4590 or AMD Ryzen 5 1500X processors and Windows 10. The company also also offers a downloadable tool to see if your PC can run the headset.